Over the 10 years I've been blogging and the years I've been hosting art retreats, I've gathered up quite a few art + craft books. The topics range from art journaling to knitting to jewelry making to inspiration to sewing and how the list goes on. I love looking through them and dreaming about the afternoons I'll spend creating. But the reality is that these days I seldom actually dive into creating something from or inspired by the books. 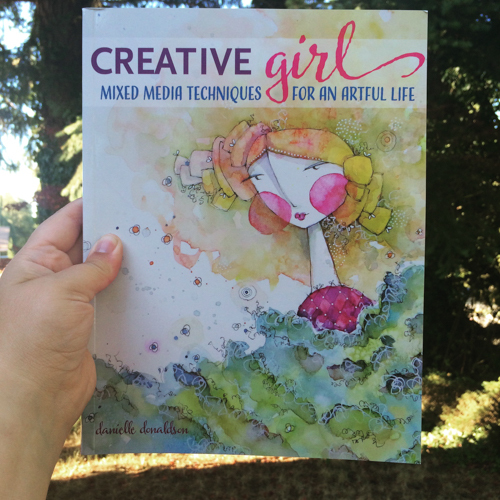 So when Danielle Donaldson contacted me asking if I'd review her new book CreativeGIRL: Mixed-Media Techniques for an Artful Life, I was of course delighted as she's one of my favorite people, but I also planned to just read it and share some thoughts. I didn't plan to actually pull out watercolor paper and my journal and watercolors and a pencil and dive into the book. But I was so inspired by her accessible and fun exercises that I couldn't stop myself. The exercises and inspiration pushed me to curl up on the couch in the evenings (which Danielle encourages with her "couch creative" section of the book) and have some fun. Ellie even joined in! The exercises are totally accessible for kids too. Danielle's style is really not like anything else out there, which is so refreshing. When you flip through the pages of this book, you're invited into her world. 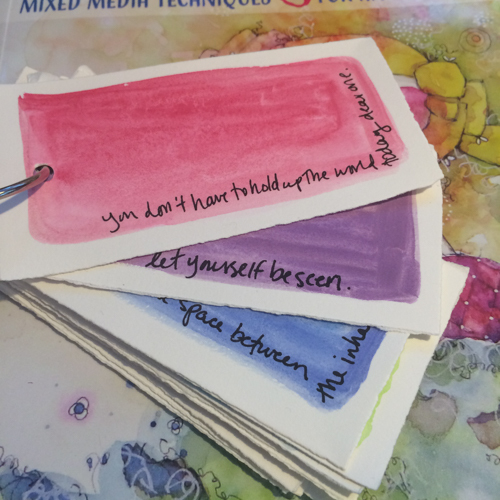 But most importantly, you'll feel a pull to start creating your own world with pencil and strips of paper and watercolors. 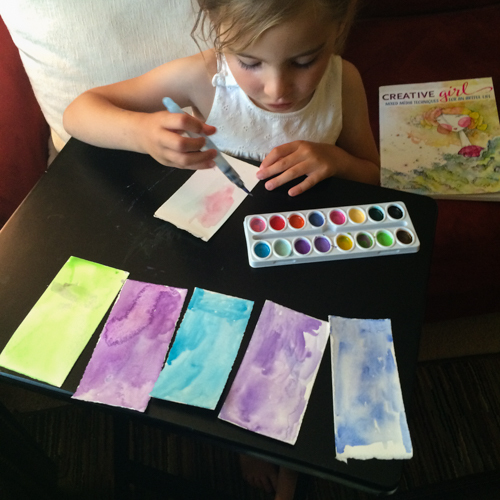 I highly recommend CreativeGIRL even if you've never picked up a watercolor set. 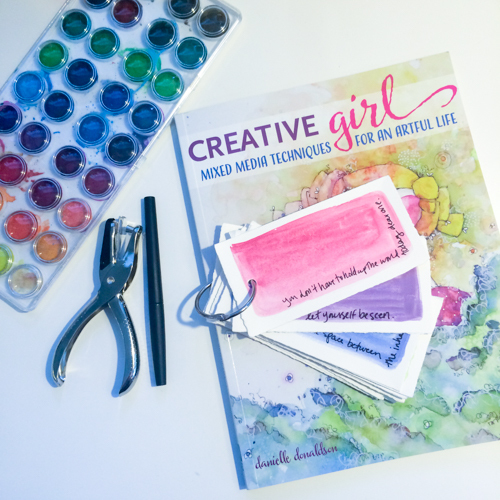 Danielle holds your hand and guides you through getting comfortable with this creative medium. And because it really is a medium you can do just about anywhere, if you aren't already playing with watercolors, I really encourage you to begin. It can actually become a tool in your mindfulness toolbox. The same is true with simple sketching like the kind Danielle encourages you to do to help you become more comfortable with drawing and creating illustrations. I've learned so much already from the book, and I'm lucky enough to be taking a workshop with Danielle this weekend on Bainbridge Island. She's coming out here for the Nurture Your Creative Seed Retreat, and Serena let me know there are a few spots left if you want to come along. We gather Friday evening! PS Please note Danielle's publisher sent me a copy of this book in exchange for a review, but all words and opinions are my own. 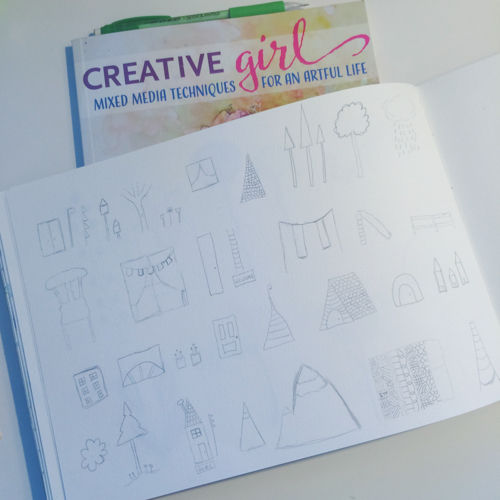 Affiliate links are used, which means I receive a small commission if you buy Creative Girl through my links. Thanks for supporting my blog and business. So deeply grateful for you. PPS Writing this review made me feel a little like those kids at the end of "Reading Rainbow" who do book reviews. I LOVE THAT! And did you know that "Reading Rainbow" is now on Netflix? It holds up. It really really does. Ellie and I are loving it over here.